How about a powerful little fish? This treatment for iron deficiency and anemia integrates iron into your diet. It’s activated with boiling water and a couple of lemon drops so you can mix it in your tea, soup, or rice. 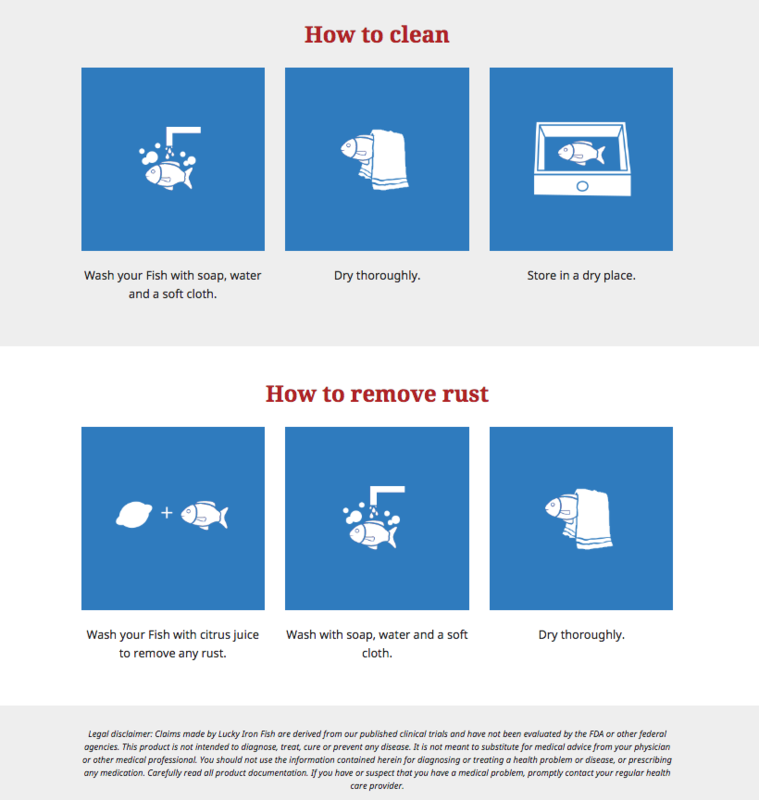 Not only can you get up 75% of your day’s iron but for every fish bought, this dedicated B-Corp will donate a Lucky Fish to a family in Cambodia, where half the population suffers from iron deficiency. Dimensions: 3.5" x 2.5" x 0.5"
This lucky fish has kept me from the hematologist! Thanks all around. I don’t know yet how it is affecting me, but I. Very happy to support this venture, in coming fidence that it will help improve health. 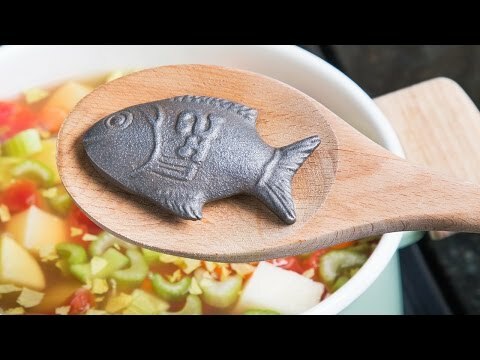 Instead of relying on a pill-based iron supplement or an anemia treatment, give Lucky Fish a bath in boiling water to integrate iron into your meal. This certified B-Corp wants to put iron in everyone’s pot—a response to the fact that nearly 50% of Cambodians suffer from iron deficiency. 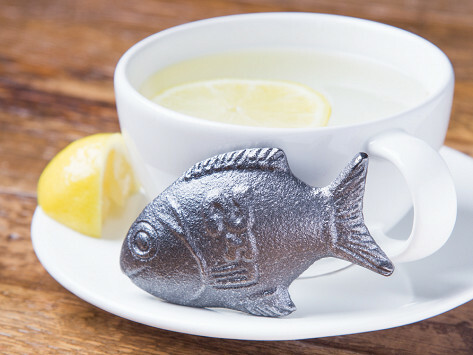 For every Lucky Fish someone purchases, they donate one to a family in Cambodia. Their goal is to tackle this worldwide issue by replicating their model around the globe. This goes to show the versatility of the design, which adapts to different diets and lifestyles. A couple of drops of citrus and boiling water—that’s all you need to transform, tea, rice, or a bowl of soup into a mineral-rich dish. You’ll get up to 75% of your day’s iron intake and boost your energy, brain power, and improve your blood circulation.